Okay! It’s been a while since the last time you were here. Well, there’s a reason for that. While Jacqueline was in America, teaching you all, and showing off at the Quilt Show in Padukah with Harm, I was the only one left behind at home. Poor little me.. However there was a little bright side to it. Because with Harm and Jacqueline both at the other side of the ocean, I had time to do my thing with BeColourful. No one to disturb me with endless phone calls, no one to hunt me down with emails, only some text messages which I could ignore… No, just kidding, it was really too quiet and boring and I didn’t like it at all, them not being here.. I missed them a lot, because we’re very close with each other. We speak to each other on a daily bases, so you can imagine what it has to be for me, when they’re not here.. Yes, poor little me..
And you know, I’m doing my share with BeColourful. Keeping every stream updated! Instagram, Tumblr, Pinterest, and of course Facebook. But I’ve have great news for you all. And that’s why I thought to make this time the blog myself. We’re working on a brand-new website! and so much more! I think this website is going to be great. Hopefully this month it will be released, and I can’t wait for you all to see this beautiful website! Hope to speak to you soon, when we’re online! How exciting!!! I can hardly wait to see the new website online!! Will keep my eyes on it! I can imagine it's lonely when they are all gone and you are the only one left behind, especially when you talk to eachother every day. But sometimes a little break from the daily routine can free your head and give way for new things. 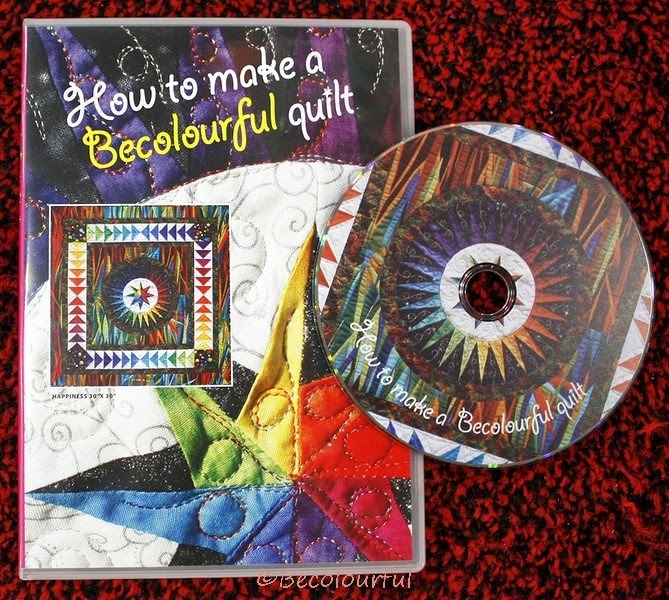 We are very proud to announce the “BeColourful Quilt Collection” book. 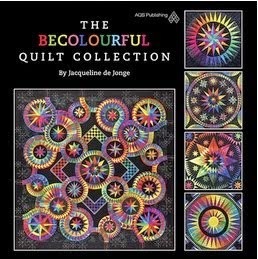 This hardcover, 11.5"x 11.5" photo book contains 112 pages of the most beautiful and colorful quilts Jacqueline has made in the past 10 years. Hoffman Challenge 2013; First Place Pieced! Our helpful DVD, a must-have! How a girls dream turned into a nightmare.. I'll be sew happy if you follow me! The content of this blog is the property of Jacqueline de Jonge ©BeColourful. Please do not take anything from my blog without my written permission. Design and colors. My favorite things. 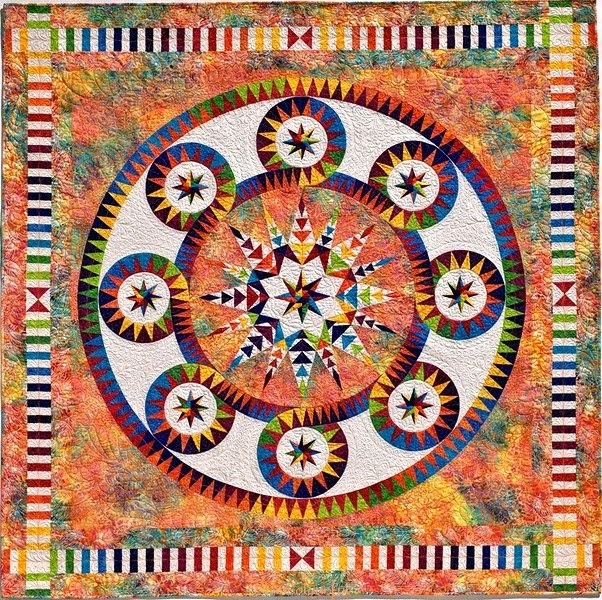 Combined into colorful quilts for the advanced and intermediate quilter. Get inspired! 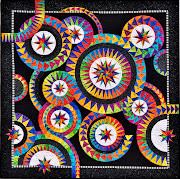 I became interested in quilt making in 1978 and I am a self-thought quilter. I love to make quilts, and try to reach a level of perfection, not to show people how hard I can work, or to show people that I'm a perfectionist in my designs and color choices, but because I love to make beautiful quilts and enjoy working on my colorful designs. 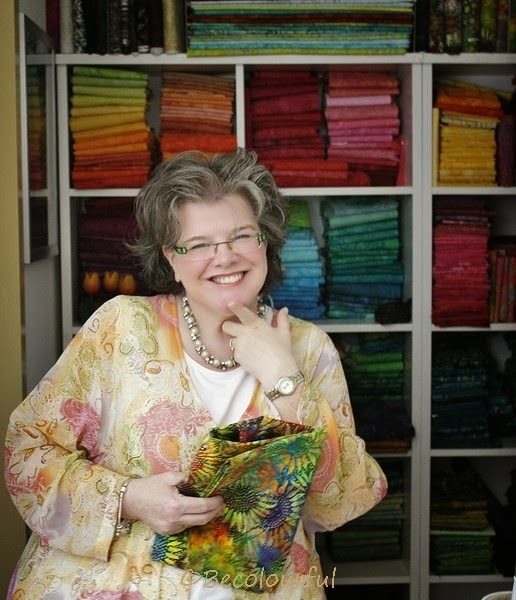 My goal is to inspire quilters all over the world with my beautiful and colorful designs. I always was creative in many ways but when I met quilts, I was hooked. I love to make quilts and to do something that you really love, is a miracle and a gift from God. I had made quilts that have won international awards and had my quilts displayed worldwide. 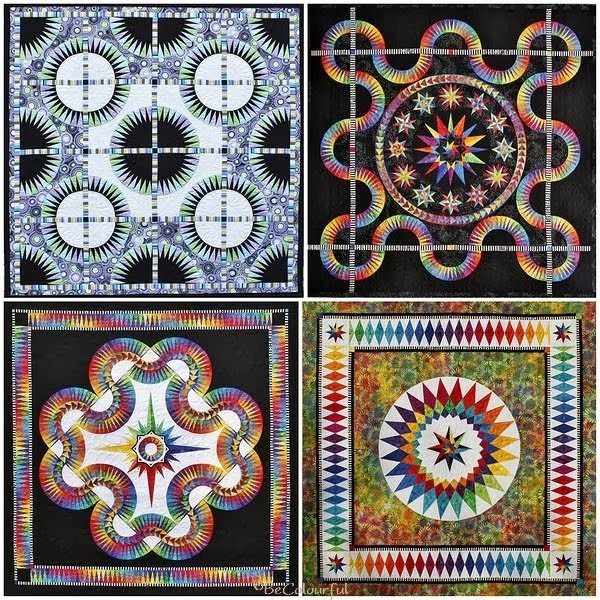 My quilts are based on traditional designs, but with a contemporary and colorful twist. Since 2004 I have lectured and conducted workshops throughout the United States, Canada, Australia and Europe. Several interviews in newspapers and magazines were published, and in 2011 I was profiled and featured on the online Quilt show from Ricky Tims and Alex Anderson. I'm not only a passionate quilter but I'm also an encouraging and personal teacher and I love to share my enthousiasm for my designs with quilters and bring them to a higher and different level to find their artistic skills in themselves. I live in the Netherlands in the beautiful city of Delft. The city well known for the Royal Delft Ware. I live close to my family and I'm passionate for my Siamese cat, mr. Pookie and my rescued Greyhound Amy. © Jacqueline and Bridget. Simple theme. Powered by Blogger.